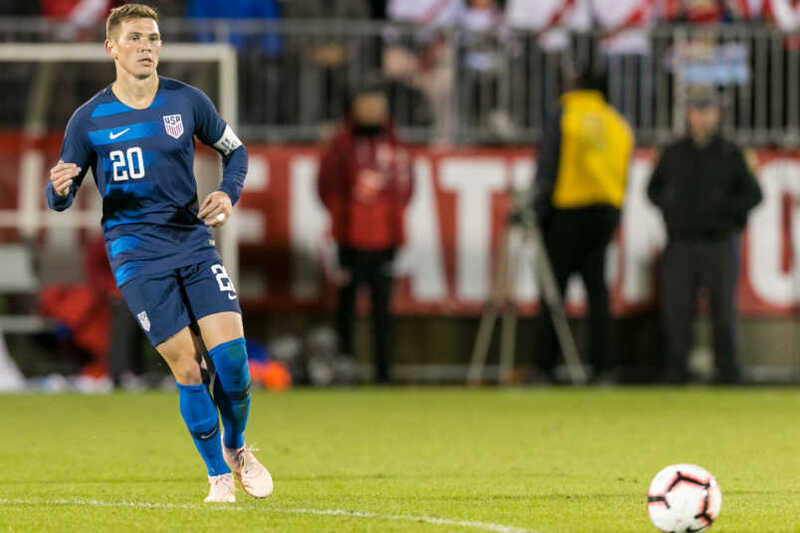 Wil Trapp showed his leadership as a member of the Columbus Crew, transferring that to the USMNT where he quickly emerged as a captain under interim coach Dave Sarachan in 2018. Trapp has spent his entire career in Columbus, emerging as a key part of coach Gregg Berhalter's tactical plan. That should continue with Berhalter becoming USMNT coach. What Trapp brings is consistency, knowing his role and how to position himself to add value to a tactical setup. 2019: Subbed on against Panama on Jan 27 and Costa Rica on Feb 2. Started against Ecuador on Mar 21 and subbed on against Chile on Mar 26. 2018: Took a big role under interim coach Dave Sarachan, named captain for the Jan 28 game against Bosnia and Herzegovina. Made eight more appearances for the USMNT. 2016: Part of January camp. 2015: After winning US Soccer's Young Make Athlete of the Year award in 2013, Trapp got his first cap with the senior squad on Jan 28 against Chile. 2018: 30 games for Columbus scoring a goal and exiting the playoffs in the conference semifinals. 2017: 34 games for the Crew, making the conference finals. 2016: Played in 30 games for Columbus. 2015: 19 games for the Eastern Conference champion Columbus Crew playing in MLS Cup. 2014: A regular in the Crew lineup, Trapp played in 28 games and scored a goal. 2013: Joined the senior squad and made 16 appearances for the Columbus Crew. Youth Soccer: Trapp was part of the Columbus Crew academy, playing high school soccer with Lincoln High School and winning the state title in 2009. He was named Ohio player of the year in 09 and NSCAA national player of the year in 2010.